Noah Jupe stopped for a chat with Shacknews about A Quiet Place and what games he is playing these days. 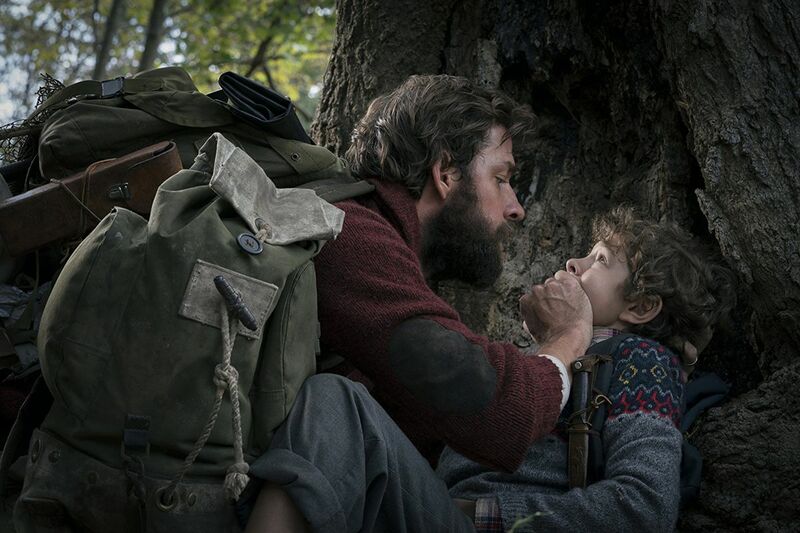 Director John Krasinski’s $328 million horror hit, A Quiet Place, is the second blockbuster in a row for –year-old actor Noah Jupe, who was previously best known for the film, Wonder. The 13-year-old English actor, who just completed Ford v. Ferrari with Matt Damon and Christian bale, took some time to talk about his early body of work (he’s already been in seven films and four TV series in the past three years) and his role as Marcus Abbott in A Quiet Place to coincide with the 4K, Blu-ray, DVD and Digital HD release of the Paramount Pictures Home Entertainment horror release. And of course, we talked about video games, a favorite pastime of kids of all ages, in this exclusive interview. Did you have idea heading into this project or on set that this movie that it would turn into such a huge blockbuster internationally? I only had a hunch because it was such a unique story and detailed such a specific thing. So I never knew if people would take it badly or they would take it well. I didn’t really know, but I had a hunch when I was filming on set that it was going to be great. What did having that real-life husband and wife team of John Krasinski and Emily Blunt on set add to the family dynamic within the actual movie? It was honestly one of the best ideas because they had such a connection and such an understanding of each of those needs that they just worked so well together. They always knew what each of them wanted and that made it so much quicker. And obviously that connection on screen is brilliant as well. What was the atmosphere like on set for you in-between filming given how intense what’s happening on screen is? It was actually one of the most safe sets I’ve been on. It was kind of ironic because it’s a horror movie where it’s all about fear and scary things, but it was really great, and everyone was smiling, making jokes, and it felt like family with that crew and that cast. When it comes to the actual creatures, what was the dynamic in terms of what they did later in post with CGI versus practical and others things that you guys visually had to work with on set? There was a guy in a green suit sometimes, but mainly we were acting to the air. We knew what the monster looked like because we had pictures, so I’d be able to picture it in front of me, but that monster looked nothing like the one that’s actually in the finished movie. It was definitely really hard to picture something that scary based on the monster was sketched for us. And given the fact that you were on set and in the movie and looking at these guys in green, how scary was the movie when you actually watched the final version? The final version was one of the scariest movies I’ve ever watched. I don’t like horror. I’m a bit of a scaredy cat. But I was like I’ll go and watch the movie because I know what’s happening, and I’m part of it. And when I went and I saw it, I was jumping at everything because I forgot everything that would happen in the movie. So I was jumping with everyone, I was gasping with everyone, and it was kind of fun, but still pretty scary. The film definitely scared a lot of people that are a lot older than you as well, so. Did you guys have time during on set to play video games? Well, no video games very sadly, but we were always watching movies and TV series because it was an hour and a half drive to the farm where we were shooting. So we used to watch half a movie there, half a movie back, or like watch two episodes there, and so on. Me and Millie were such good buddies and we would always hang out and play board games and eat Japanese food and just take our minds off the movie. Because you have to act that fear, you have to cringe a part of your body and that actually takes a lot of work, and it’s actually kind of makes you scared. So we just needed something to take our mind off of everything, and that’s what we kind of did in our down time. I’m playing Battlefront 2 at the moment on my Xbox at home. That’s probably my favorite game. You said no video games sadly. So, if it was your choice would you have been playing video games? I do love video games, but I wouldn’t change a thing that happened. Video games are not the best triggers for conversations and me and Millie loved conversations, so it probably wouldn’t be the best if we started playing video games. I’m playing Battlefront 2 at the moment on my Xbox at home. That’s probably my favorite game. It’s pretty good because it’s storytelling and role playing and stuff, so I like it. So you’re not into Fortnite, which everyone else is playing right now? I was and then I was just like this is too addictive. And I’d play and get humiliated by someone, so it wasn’t so much fun. That is a great game. I have to say that. But I don’t really play it anymore. In general, because you’ve done a lot of movies and a lot of TV shows, is gaming something you tend to have time to do when you’re on set? Not on set. I do at home. I maybe play it a couple of hours every day on the weekend and like an hour in the week. But on set I like to keep my mind in the zone, but not in a method way. I just don’t want to take my mind off the situation. I’ll still have chats and conversations, but video games are really intense and it takes a lot of energy to play them. They’re really fun, but it’s just not the thing to do just before you’re shooting a scene. Yeah like you’re in a war and then you have to do something like really calm thing and you’re all hyped up about killing stormtroopers or whatever. Given the success that A Quiet Place has had, has that impacted you when you’re out in public? I get recognized a lot for Wonder, actually, but A Quiet Place too. Like they’re probably both level at the moment. I’ve just been in LA shooting a movie and I probably get noticed once or twice every time I went out once, so it’s not bad. It’s not like getting mobbed or anything, but I still get noticed a little bit. There are a lot of actor opportunities in video games with performance capture and voice acting. Is that something you’re interested in pursuing at all in the future? So if they do Battlefront 3 that probably seems like something you’d be interested in? Yeah. But you don’t want to be in like a really bad game that no one plays. Thanks to Noah Jupe for taking the time to chat with us about A Quiet Place and his favorite video games.